My second book, Why Busing Failed: Race, Media, and the National Resistance to School Desegregation, was published by University of California Press in February 2016. In the decades after Brown v Board of Education, busing became one of the nation’s most controversial civil rights issues. 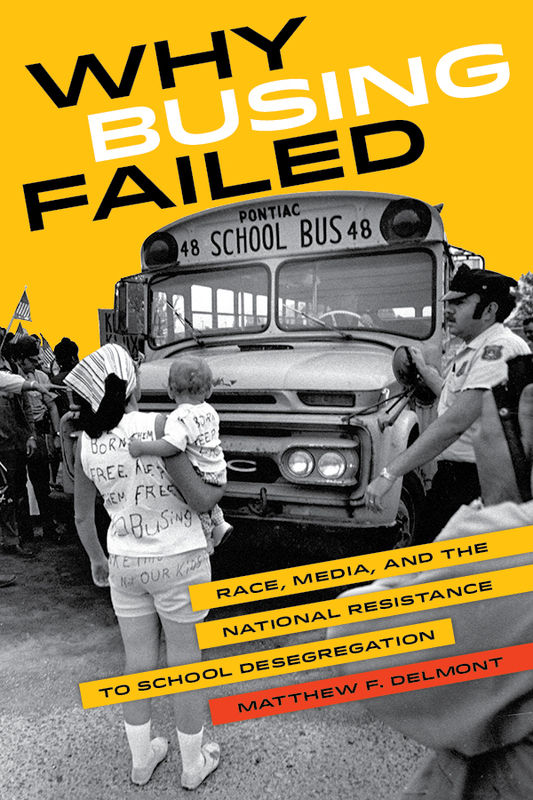 Why Busing Failed is the first book to examine battles over busing for school desegregation on a national scale, in cities like Boston, Chicago, New York, and Pontiac, Michigan. This groundbreaking book shows how school officials, politicians, courts, and the media valued the desires of white parents more than the rights of black students. This broad and incisive national history of busing brings together well-known political figures like Richard Nixon, Richard J. Daley, and Louise Day Hicks with less well known people like civil rights activist Ruth Batson, antibusing activists Irene McCabe and Clay Smothers, and Florida Governor Claude Kirk. Why Busing Failed shows that antibusing parents and politicians ultimately succeeded in preventing full public school desegregation.